London Accordion Orchestra presents ‘Out Of This World’ a Gala Concert to celebrate its 20th Anniversary. 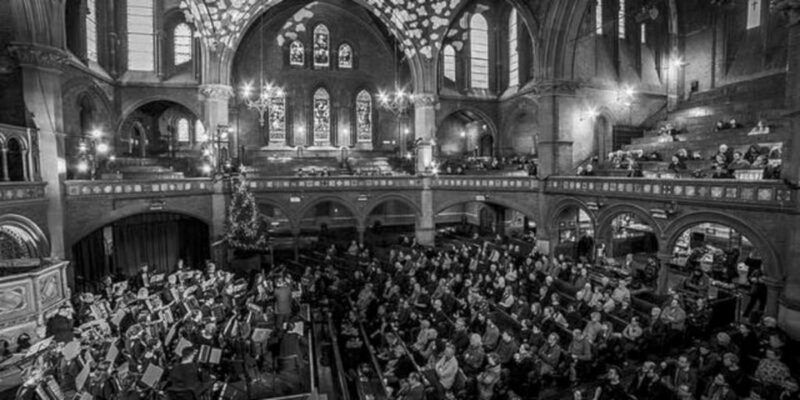 London Accordion Orchestra celebrate their 20th anniversary year with a very special Gala Concert at the incredible Sacred Heart Church in Wimbledon. The program will include Rhapsody in Blue by Gershwin with concert pianist Giles Kennedy, the ever popular Toccata by Widor with organist Robert Rathbone and the World Premiere of Black Mountain by LAO Conductor Ian Watson. We will be joined by a choir in a dramatic reworking of Jupiter from the Planets and Violin and Cello for the LAO favourite ‘Danzon No. 2’ by Marquez. This and much more to be confirmed. Catering will be by the award winning Gingham Hearts in a special Marquee in the Church grounds. Tickets for this concert are expected to sell out so do book early. This entry was posted in News and tagged Ian Watson, Julie North, LAO, London Accordion Orchestra, Sacred Heart Church Wimbledon.